Since my third brain surgery on January 9th, 2019, I completed my second round of Radiation Therapy on March 1st, 2019. It does look like my body has been able to tolerate the new round of radiation therapy very well. Only complaints so far seems to be short spells of fatigue once in a while, and a couple of no-hair-here bald spots on the top of my head. 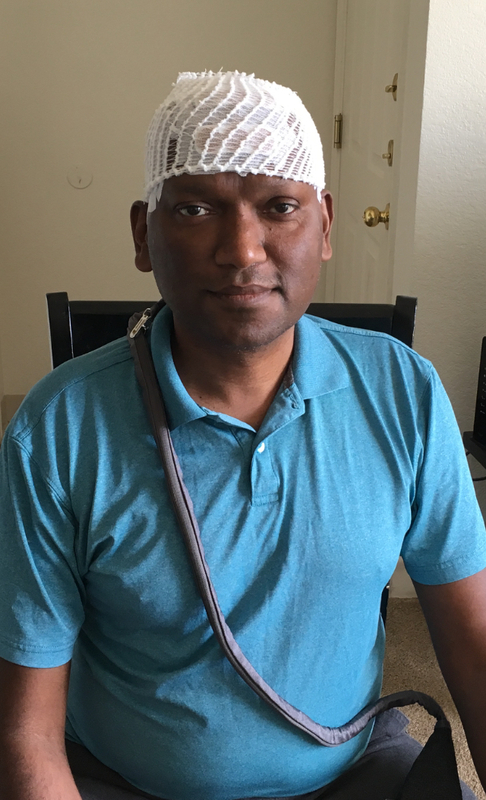 I am a strong believer of the benefits of Optune for Glioblastoma patients, as evidenced by my earlier statement: I like being alive. So I will wear Optune always forever. I was using Optune for over 90% of the day everyday for nearly 16 months from March 2017 to June 2018. In June 2018, I had my first recurrence. At that time, my confidence in Optune was severely shaken, and I decided to stop using Optune. Very recently I changed my mind about Optune and decided to give it another shot. The original tumor site has been very stable. The recurrence was in a totally different part of the brain. This makes me believe that my aggressive usage of Optune did help. And it could still help keep the tumor at bay for a few more months/years. Started this round with Optune a week ago, and have been able to seamlessly incorporate it into my daily life very quickly. The chemotherapy treatments this time also has been totally different from the daily Temozolomide tablets I used to take during my previous rounds. This time I take 180mg of Lomustine tablets orally once every six weeks. Lomustine is said to be a slow-acting drug, and could cause blood-counts to drop rapidly towards the end of the six-week-cycle. My Oncologist has arranged for me to visit the office for blood-work every week while I am on this treatment - to keep an eye on my blood-counts. I also got a Pulmonary Function Test done before starting on Chemotherapy. The first dose I took early this week seemed to make me mildly nauseous the next day. Turns out my totally inactive life-style since the knee injury last June has made me stiff in many parts of my body. Regular stretching exercises and some good habits around fitness and stretching should get me back on the road very soon. I had hoped that I will be able to get back to running and complete the 26.2 miles distance at the Chicago Marathon this year on October 13th. 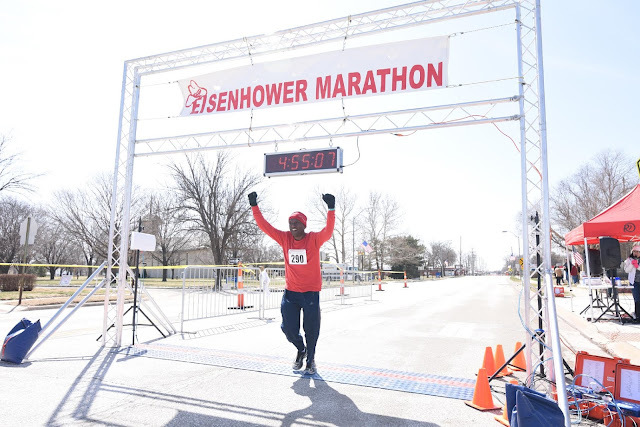 Even though it is 6.5 months away, my performance during yesterday's one mile walk/run near my home gave me enough proof to conclude that it is very unrealistic for me to aim to run a marathon this year. I have been off running since I got hit by a car back in June last year. I had a surgery on my left knee in July last year and got a metal plate embedded to compensate for the broken tibial plateau. Since then I have had 2 brain surgeries as well - my second craniotomy in July 2018, and my third craniotomy in January 2019. After being mostly inactive physically since June 2018, I started back on regular working out - mainly slow walking for 2-4 miles - early this month. It might be that my body has totally forgotten the various movements of the muscles and bones, etc. to carry on moving at a pace faster than a walking pace. I will have to meet my Orthopedic Surgeon for a followup appointment soon and also figure out the necessity for & the specifics of a Physical Therapy program to get me back to a running shape in the next year or two. Motivation to run is not at all a problem. 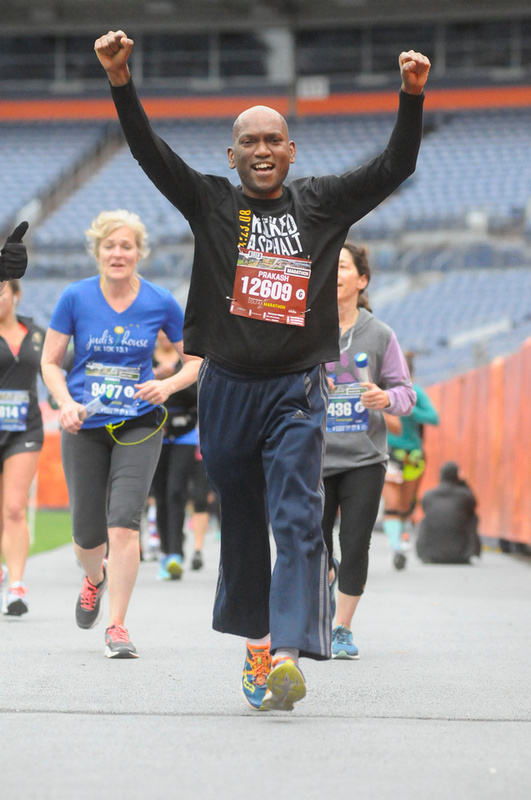 I am convinced that being physically fit is of paramount importance in my ongoing adventure with Glioblastoma. Here's hoping that I will succeed in overcoming the physical limitations and get back to running marathons in a couple of years. The first round of treatments was over a period of six weeks from December 20, 2016, to January 31, 2017. The second round was over two weeks between February 18, 2018, to March 1, 2018. The first round consisted of a total of 30 treatments. 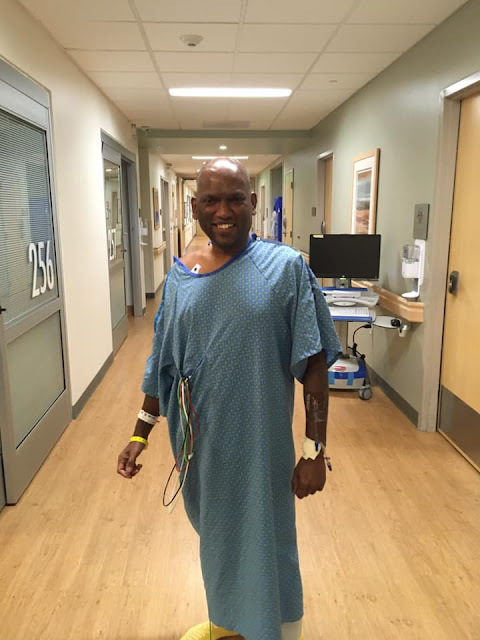 The second round had just 6 treatments. The first round was with Conventional Radiation Therapy. 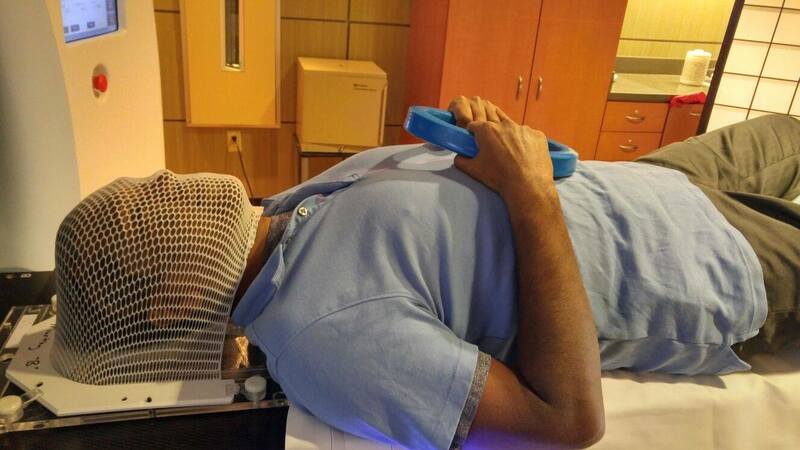 The second round was with Cyberknife Technology. Each of the treatments in the first round took about 10 minutes each. Whereas each of the treatments in the second round took about 45 minutes each. My second craniotomy in July 2018 and the third craniotomy in January 2019 were both in the same area of the brain and far from the site of the first tumor and first craniotomy in November of 2016. 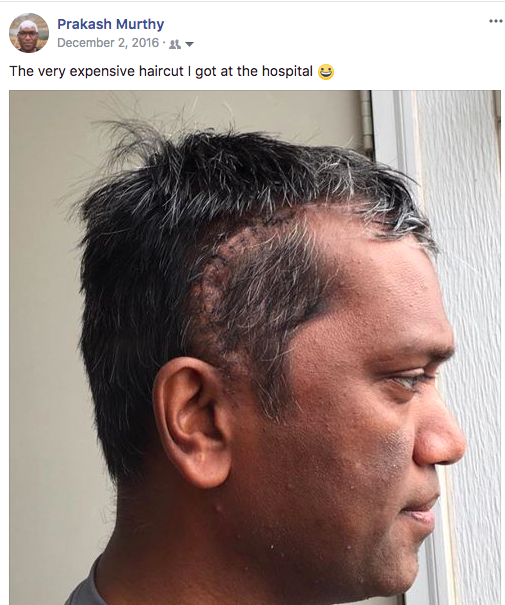 After my second craniotomy, I was put on a maintenance chemo treatment. The tumor came back in less than six months confirming the fact that the maintenance treatment wasn't really helping. We got a second opinion from the Glioblastoma specialists at MD Anderson Cancer Center in Houston. They recommended that we treat the recurrence like a new tumor since it is in a new part of the brain, and hit it with all the available Standard-of-Care treatment options. Makes Sense. So our Oncologist agreed to follow that advice and prescribed that we go through the standard treatment cycle of concomitant Chemotherapy while on conventional radiation therapy. 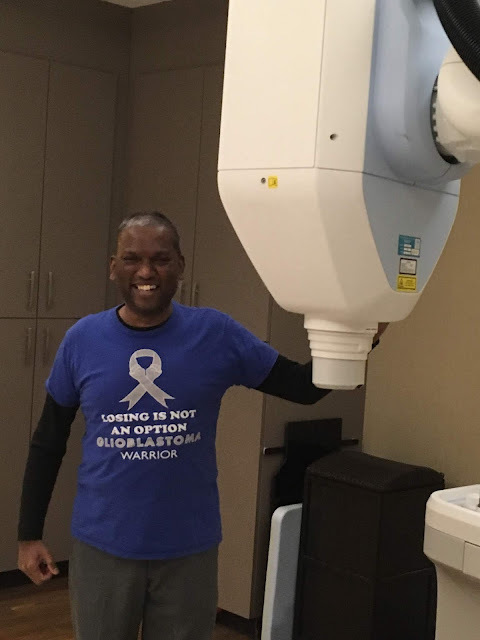 When we met with our Radiation Oncologist, it turned out going through a second round of SOC treatment after a recurrence is not as straightforward as we expected it to be. 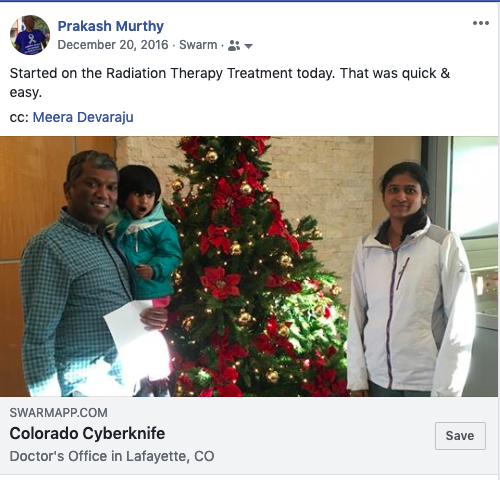 They took a couple of weeks to come up with a treatment plan and came back with a short cycle of treatments with a higher dosage of intense radiation. In this phase of constantly changing plans, we ended up incurring a loss of over $2,000 because of the chemo tablets that our doctor prescribed (with a co-pay amount of over $2,000) were not going to be used with the new treatment plan. The co-pay amount is huge as it is still the beginning of the year and we haven't met the out-of-pocket maximum amount of our insurance. We received the chemo tablets and were told to not use them after a day. 😆The pharmacy doesn't take back the tablets, So as of now we have enough chemo tablets for one round of treatment and might even use them should the doctor prescribe them in the future. The current plan is for me to get Lomustine (chemo drug) administered intravenously starting in a few weeks. Definitely no more oral chemo tablets this cycle. Treat recurrences in a new area of the brain as a new tumor and start on the SOC treatment immediately after the surgery. Ask for the best available options for Radiation Therapy Treatment from the outset. A treatment option that minimizes the area it affects allows for the patient to go with multiple rounds of radiation therapy treatments over a lifetime. This is very important as Glioblastoma tumors keep coming back. 😟Proton-Beam/Photon-Beam Radiation Therapy and Cyberknife are better than (and more expensive than) the conventional radiation therapy treatments. The New Year of 2019 started off for us with my Third Brain Surgery on Wednesday, January 9, 2019. Initial diagnosis and First Brain Surgery on Monday, November 14, 2016. Second Brain Surgery on Thursday, July 19, 2018. Third Brain Surgery on Wednesday, January 9, 2019. Yes. I am a veteran Glioblastoma Patient, a Survivor, and a Thriver! The third brush with an invasive surgical procedure went very smoothly for us. Our experiences and learnings through the three surgeries have helped us take out all of the unproductive hand-wringings, fears, and mental games leading up to the surgery, and deal with the situation just as it unfolds in front of us. Powerfully. With Choice. We got to know of the need for surgery on Wednesday, November 28th, 2018 at our follow-up appointment with NeuroOncologist. The 2.5 cm tumor at that time grew to around 5cm by Late-December/Early-January. That necessitated a third brain surgery and, it was promptly scheduled for Wednesday, January 9th, 2019. That was funny. And interesting that folks working on my care have read my blog. When there is a new recurrence in a different area from the original site, it is best to treat it as another primary tumor and go through with the full SOC treatment cycle to better the odds. We missed out on the aggressive option after my second surgery and went with a maintenance treatment plan which proved to be totally useless. Now that we are back at the end of a full-resection, our plan is to start on the Standard of Care Treatments - Chemotherapy, Radiation Therapy, and Optune over the next few months to throw every available solution at the monstrous disease that Glioblastoma is. This morning I was at able to attend the Sunday Morning Meditation and Reading Services at The Boulder County Meditation Circle, and participate in all of the activities with near-full energy. I think it is safe to say I am through with the lows of surgery and back to full health, ready to take on life!